Sermon covering Matthew 5:14-16. It covers the what why we desire to serve together as a Church so that we are a light in the darkness. 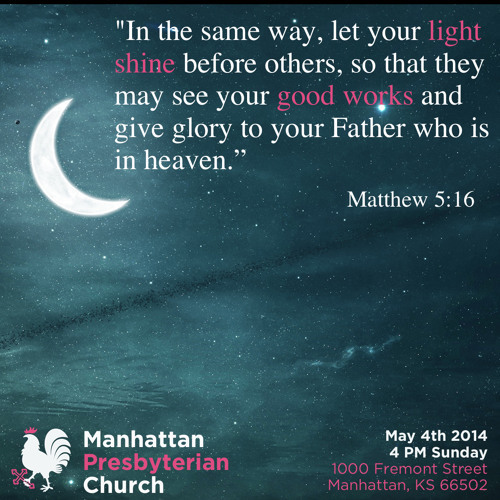 Was preached on May 4th 2014 at Manhattan Presbyterian Church in Manhattan, Kansas. PCA.